Yemen’s coffee culture is the stuff of myth. It appears in the pages of texts of the ancient world as the legendary source of coffee. Yemen may be the most fascinating of all the many coffee-producing countries on Earth, given its ancient culture and its pivotal role in the story of humankind’s relationship with coffee. It holds a sacred place among coffee historians who immerse themselves in the emotional and cultural past of our beloved tree. But for most of us, Yemeni coffee is relegated to the realm of the imagination. If Yemen’s coffee sector is epic, it is also ironic: Yemen is the true birthplace of the global coffee trade, but its coffees remain mostly unknown in a world gone mad for coffee. The trade ships that docked at Mocha inserted coffee grown and roasted in Yemen into the slipstream of maritime commerce at a time in the Middle Ages when it was unknown beyond a narrow range of latitudes. It became the center of origin for coffee’s diaspora, sending roasted coffee to the world and seed for the first time to many of the more than 70 countries Coffea Arabica now inhabits. Yemen is home to some of the most intriguing heirloom coffee types still in production, yet is almost entirely disconnected from the specialty coffee movement and inaccessible to most consumers. Truly well-crafted Yemeni coffee is a genuine white whale for even the most dedicated and persistent industry professionals, who routinely go to extreme lengths to track down elusive and unlikely coffees. How has such a mythical coffee origin remained on the margins of the marketplace during specialty coffee’s dramatic push into mainstream consumer culture over the past few decades? Political and civil instability, security issues, cultural barriers, language and basic travel logistics play a role: they have stood in the way of the kind of real-time connectivity with growers that has driven advances in specialty coffee elsewhere. The production model itself is also a challenge: farms extremely small in scale, located in especially remote and hard-to-reach mountain communities present significant obstacles to development and outsized risk for anyone looking to engage. Furthermore, most farmers in Yemen are working in relative isolation and have not been exposed to technologies or strategies for managing quality. Most still cultivate and process coffee in a manner that has endured with little change for centuries, and are largely unaware of all the transformations that have taken place in the quality coffee marketplace. What little coffee makes it off the farms with most of its quality intact gets mixed with dozens of other, less attractive coffees before ever leaving the country. If a lot of fine coffee ever manages to run the gauntlet and make it into the hands of a quality-focused roaster, it usually comes bearing no verifiable connection to those who grew it and so degraded in quality as a result of age and exposure to damaging environmental conditions that whatever made it exciting in the first place is a distant memory: quality lost in an unfortunate vapor trail, with just a trace of quality remaining to tease us with the thought of what it might have been and to keep us chasing the ghost. For nearly two decades I’ve looked forward to the day that we could roast and serve a Yemeni coffee that met our standards for quality and traceability. The potential is tantalizing. Yemen boasts heirloom coffee types that exist nowhere else on Earth. They are grown in near desert-like conditions at extreme elevations under improbable conditions, but have somehow manage to survive for centuries against long odds. These ancient trees have adapted and learned to live in an especially inhospitable habitat, and the seed they yield is the product of environmental stressors unlike those anywhere else in the coffeelands. Today, Yemen is a stage set for old stories and new: the resumption of the romantic tale of the genesis of the coffee trade born of the collision of cultures, and a new narrative of creation centered on exhilarating and utterly unique flavors. 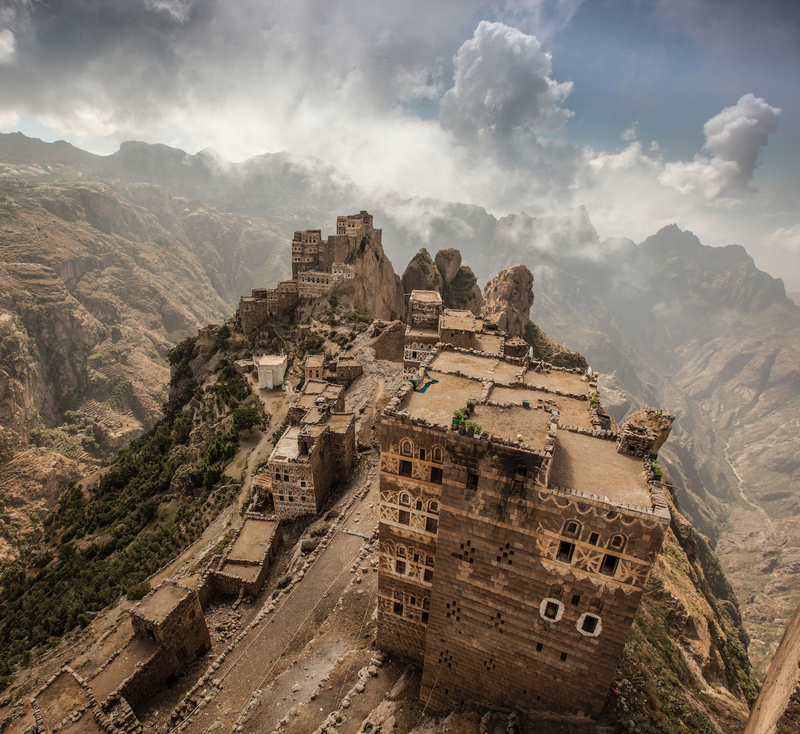 The new Yemeni coffee story bridges a fascinating history with a hopeful future. It is a story of discovery and risk, persistence and extraordinary effort, the story of one man who went looking to reconnect with his own heritage and unlock some of the latent potential he knew existed in the country of his birth. Mokhtar Alkhanshali fell in love with an idea: he believed that he could play a role in helping to bring Yemeni coffee back to prominence and, in doing so, create new opportunity for thousands of farmers in his homeland for whom growing coffee was an intensely meaningful part of life, but not a meaningful source of income. 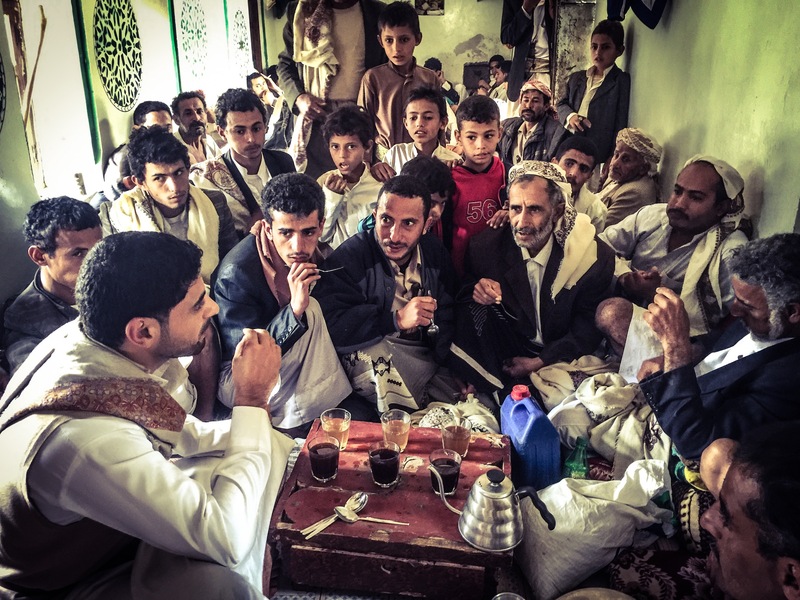 Mokhtar traveled to Yemen and spent years building relationships and laying the groundwork that would allow him to awaken an industry that had drifted into a state of dormancy and reveal the unique quality of Yemeni coffee to a new global market following decades of isolation. Not unlike Yemen’s coffee trees, which managed to bear mouthwatering fruit despite exceptionally challenging conditions, Mokhtar himself overcame profound odds to bring delicious coffees from a forgotten origin to a generation of coffee lovers who never had the chance to know them. Thanks to Mokhtar’s efforts and those of his dedicated team, great Yemeni coffee is no longer the stuff myth. Today it is a spectacular, unforgettable experience within our reach that provides a visceral link back to the ancient origins of the coffee industry. Bravo! This coffee is now available for pre-order HERE. Orders received by 3 pm on Friday, 2 February will roast and ship on Monday, 5 February. If we have any coffee left after that, we will fulfill web orders weekly on Wednesdays. Geoff alludes to the “profound odds” Mokhtar overcame to get his coffee business off the ground. That ordinary language obscures an extraordinary ordeal: a harrowing episode during one of Mokhtar’s early sourcing visits in which he found himself trapped by civil war in Yemen’s capital and cut off from his contacts at the U.S. Embassy. He navigated his way to the coast and arranged a cinematic escape by boat across the Red Sea. Despite the peril, Mokhtar found time for a selfie as he sped to safety. We weren’t the only ones spellbound by Mokhtar’s story. The award-winning writer Dave Eggers tells Mokhtar’s story in a new book released today and titled Monk of Mokha. 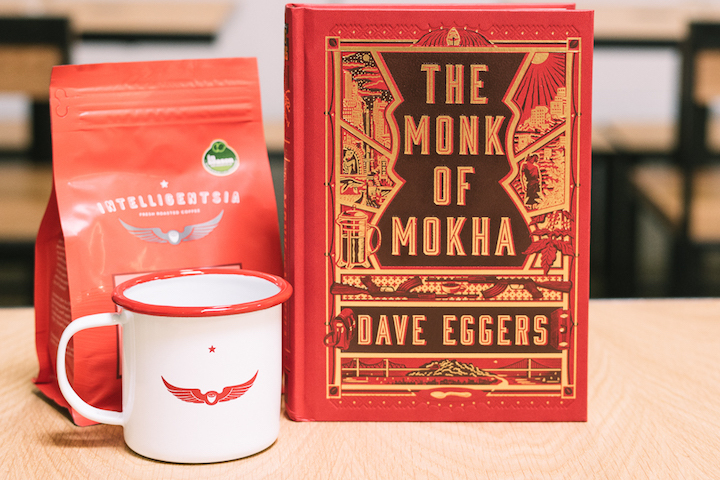 From bestselling author Dave Eggers, the incredible true story of a young Yemeni American man, raised in San Francisco, who dreams of resurrecting the ancient art of Yemeni coffee but finds himself trapped in Sana’a by civil war. 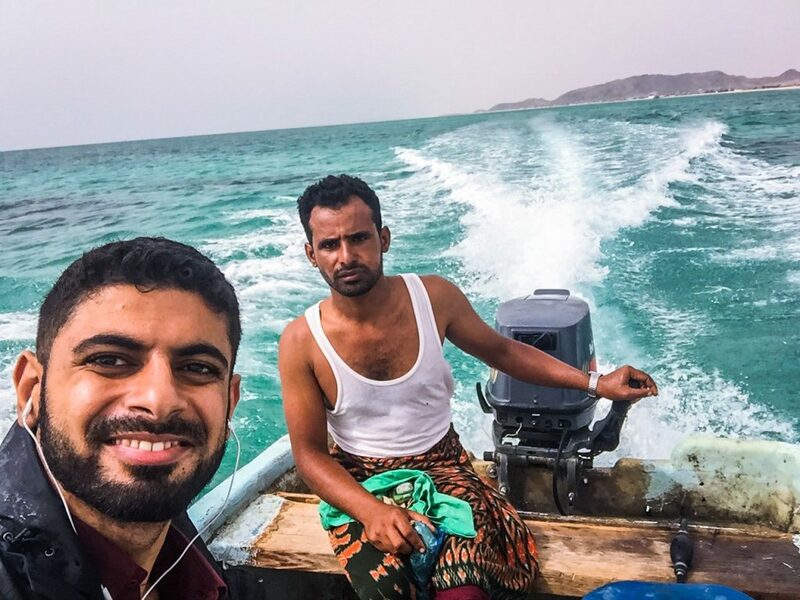 Mokhtar Alkhanshali is twenty-four and working as a doorman when he discovers the astonishing history of coffee and Yemen’s central place in it. He leaves San Francisco and travels deep into his ancestral homeland to tour terraced farms high in the country’s rugged mountains and meet beleaguered but determined farmers. But when war engulfs the country and Saudi bombs rain down, Mokhtar has to find a way out of Yemen without sacrificing his dreams or abandoning his people. We are delighted to offer copies of Monk of Mohka signed by Mokhtar and the author, Dave Eggers, HERE.